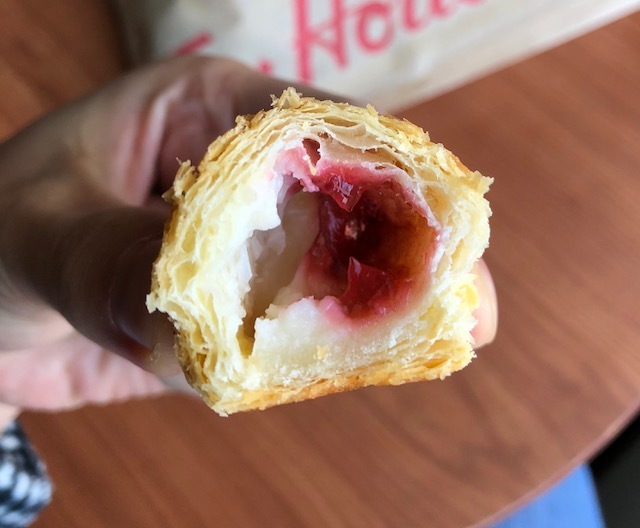 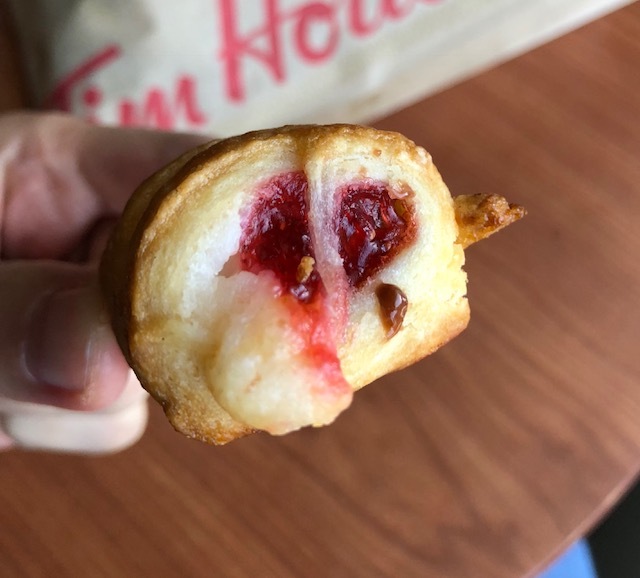 Tim Hortons has several new items for holiday season. 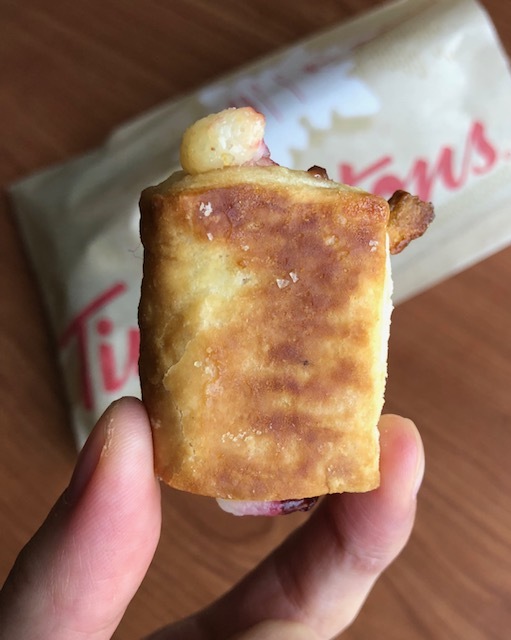 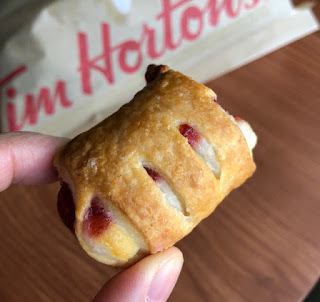 I tried Strawberry Cheesecake Mini Strudel, one of the newest mini snacks. 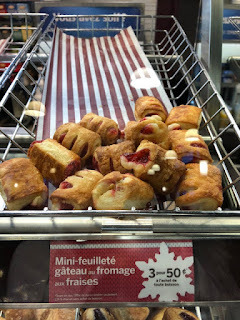 Next to the product name, it says, "3 for 50 cents" and I thought it's quite cheap, however, in tiny letters under it, it says, "if you buy any drinks." And it's 40 cents per piece without drink purchase. Strawberry jam and cream cheese were filling the pie fully. The pie made crispy sour when I bit, and the filling had sweetness and sourness and it's delicious.